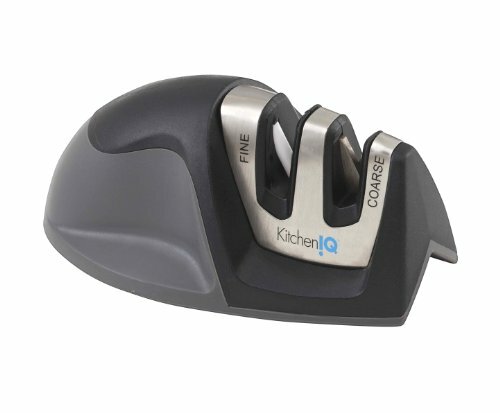 Some of the Best Gifts for Foodies Are Below! 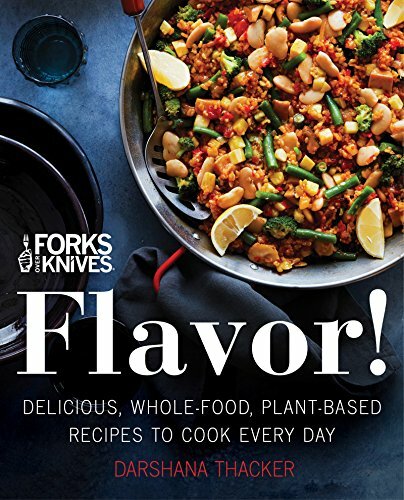 Whether you are looking for cheap gifts for foodies or expensive gifts you can really splurge on, the best gifts for foodies are ones that appeal to their inner foodie loves. These loves could be sweet waffles, delicious hot chocolate, or a baking accessory they’ve been dying to use. Gifts for foodies are a good bet as a birthday gift, Christmas gift, housewarming gift, or for any other occasion, really! If they are a true foodie, any food-related gift is a sure-fire bet. So, to help you get started searching for the perfect gift, we’ve done the homework to bring you the best foodie gifts across all price ranges. You won’t need to head to another website after you read this list of gifts for that foodie man or foodie woman on your list! When buying gifts for foodies, there are a few details you should probably consider. Some are more important than others – but definitely think about all of them before you make your purchase! Price. When buying gifts for foodies, price is definitely going to dictate what you buy. For example, you can get some really fancy varieties of foods if you are willing to pay a higher price. Chocolate is a good example of this. Price is also (usually) tied to the quality of materials in something like a cutting or cheeseboard. 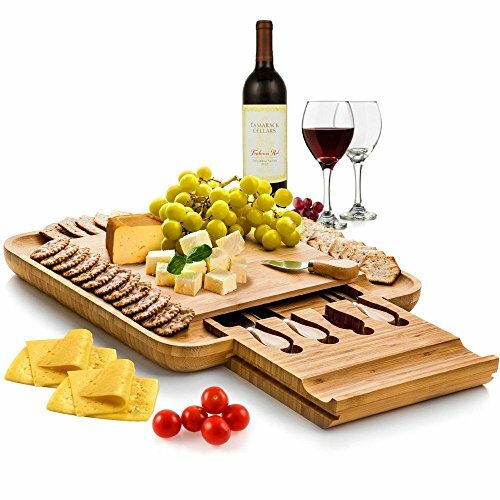 If you are looking for a non-food item and opting to get a food accessory, then a more expensive cheeseboard made from a better wood with a better finish is likely going to last longer than a cheap one. In the end, have a think about your budget, think about the receiver and their foodie loves, and you can’t go wrong. Purpose/Taste. The purpose of the foodie gift is related to the person receiving the gift. Really give a think about if they are going to eat the gift or use the gift. If you find a great bag of candied popcorn but they are really into smoked meats, maybe rethink your gift choice and buy something else. If they genuinely need a new funny mug to enjoy their morning beverage, then buy them a mug. That would be useful! There are SO many ideas out there for foodie gifts, we understand if you are having a hard time. Allergies. If you are buying gifts for foodies that are actually food-based, you will definitely want to check for any allergies or intolerances. Seems like an obvious one, but buying a gift that can trigger an allergy (or even a food sensitivity) can be wasteful and flat-out dangerous. Always read the ingredients or ask the vendor/seller. If you are unsure, don’t chance it! 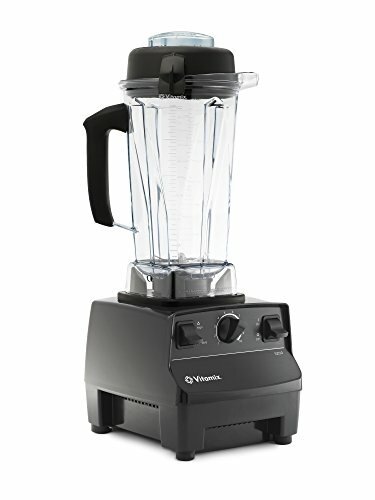 If you are in the market for cheap gifts for foodies, then you will have WAY too many options to choose from. 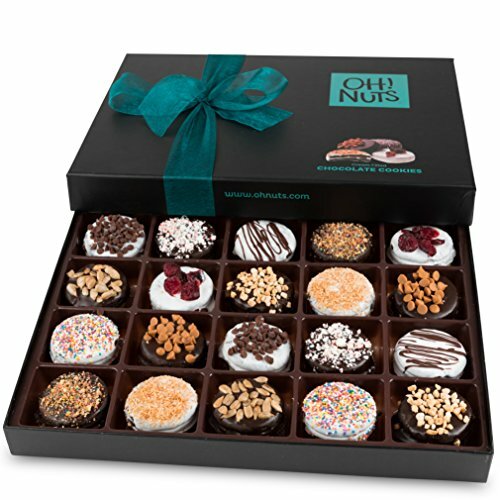 A great idea is to know your foodie’s likes and tastes and then buy a “variety pack” of a bunch of smaller gifts to create one larger themed gift. That is to say that you want to buy many little gifts. 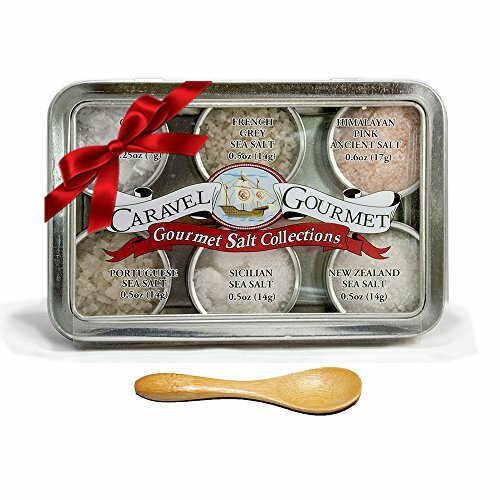 If you only need one smaller, cheaper gift for a foodie, then you’ve got options below! A cute and hilarious Mexican food pun that goes: Wanna Taco Bout it? Nah, It's Nacho problem. 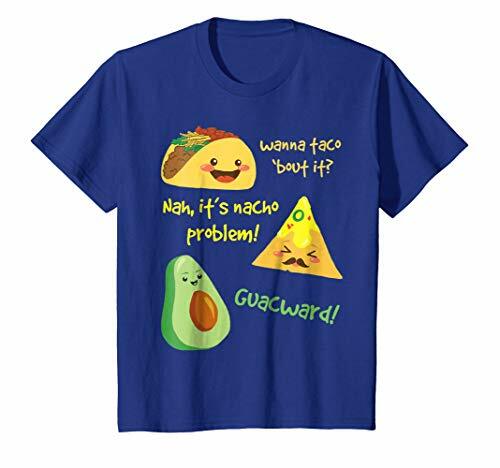 Guacward! Clever usage of tacos, nachos, and avocados to bring out silly and fun humor. Makes an awesome novelty gift idea for taco, nachos and avocado lovers. One of the best way to let everyone know you love Mexican cuisine jokes! 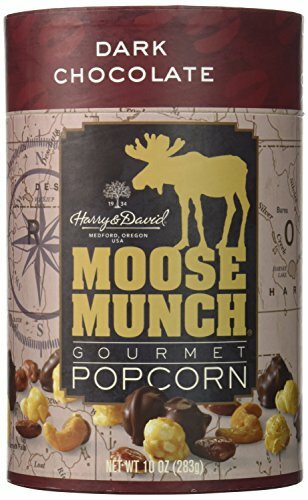 Harry & David, Moose Munch Gourmet Popcorn, Dark Chocolate, 10 Oz. 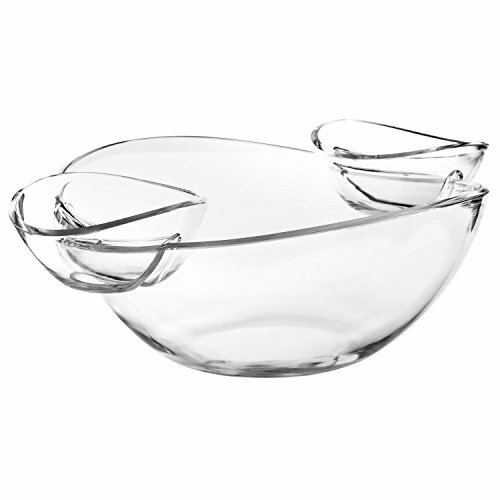 The three piece set includes a large bowl and two attachable dip bowls. 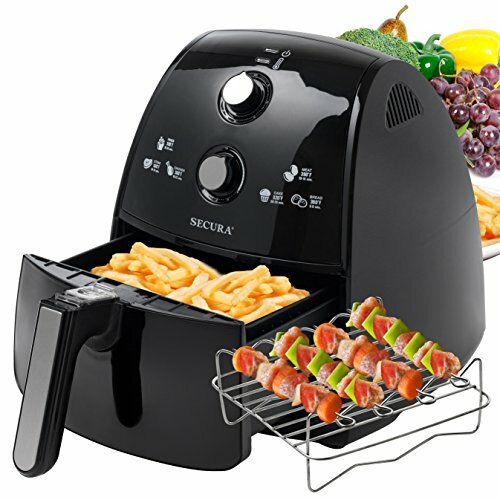 Will enhance any party, and is perfect for indoor and outdoor entertaining. There are a TON of ideas out there for mid-range foodie gifts. These are the kinds of gifts that you can give again and again if they get used up/eaten (like a food item). That said, generally they are more expensive food item that get used over a longer amount of time (like olive oil). It never goes out of style if it’s used and loved by your foodie. 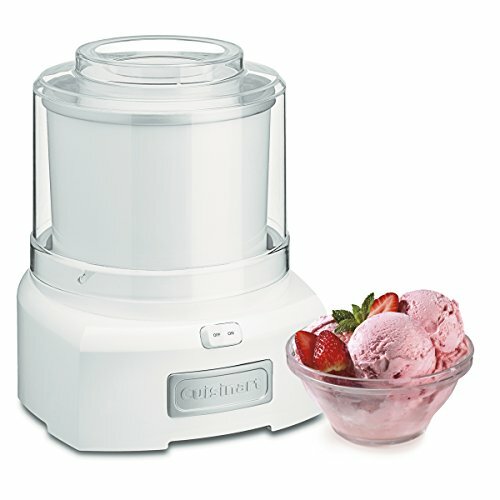 The other category for these mid-range gifts are a food accessory or tool like an ice cream maker (see below). These novelty gifts are not crazy expensive but also have a huge novelty value IF the person will use it! 100% Pure Unblended Canadian maple syrup (Grade A). 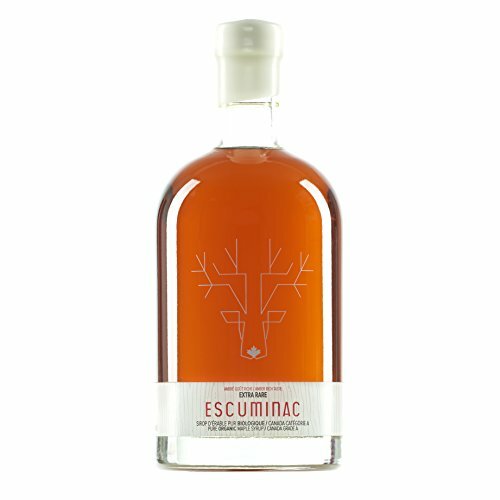 Escuminac extra rare maple syrup is produced in very small quantities. Golden in color, it is the mildest in our range. This pure maple syrup is produced exclusively with sap harvested during the first days of the run. Exceptional syrup with a smooth, velvety texture. It is light in the mouth, featuring a subtle caramel and honeysuckle bouquet with a hint of cinnamon and a lingering flavour. ❇️ ORGANICALLY INFUSED - Infused with Fresh Organic Herbs and NOT with essential oils or flavors. PLEASE NOTE : These are not huge olive oil bottles for cooking purposes and in fact 50 ml bottles where you need very small portion of infused oil to make a gourmet meal with every flavor. 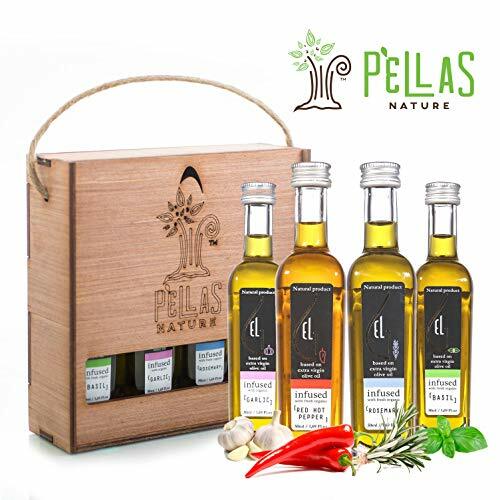 These are Organically infused and quite potent oils. Sometimes size is not everything. 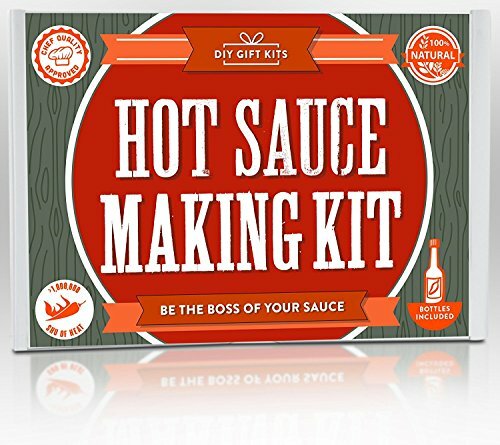 AUTHENTIC HOT SAUCE KIT: Makes 7 bottles of lip smacking gourmet hot sauce right from home. It contains, 3 Glass Woozy Bottles, 4 Squeeze Bottles, a 2-inch funnel, an Apple Cider Vinegar bottle, a zipped pouch of Spice Blend, 2 pairs of gloves, 5 pH strips. Also, 3 woozy reducers, 3 black caps, 4 squeeze bottle tops with red cap, Ancho Pasillas, Chipotle and Habanero Pepper bags - instruction card, an open/close pouch of Ghost Pepper & 7 label stickers. Make your own Italian masterpiece, starting with the perfect pasta dough. 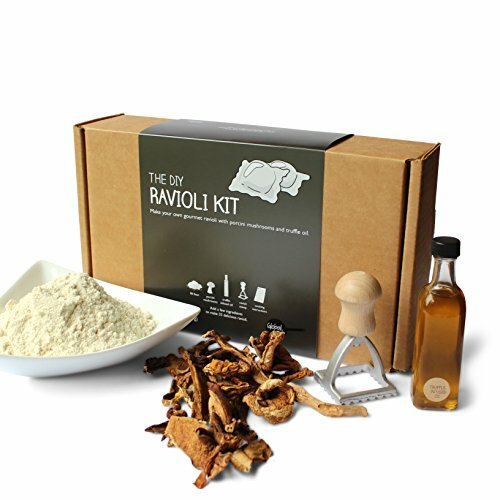 Then, transform the dough into delicious gourmet ravioli filled with porcini mushrooms and ricotta that'll be sure to impress! If you need an expensive gift for a foodie, you will certainly have a hard time choosing! This is because with a higher budget you can truly buy according to your foodie’s true passions and aim for a quality gift that you just can’t get anywhere else. 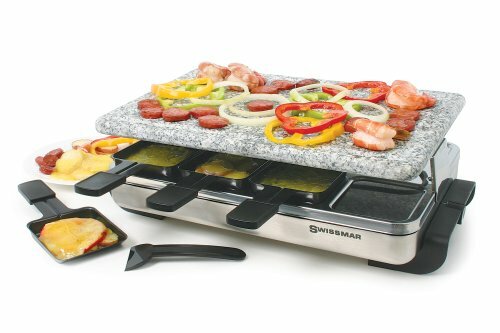 Below, you’ll find a few gifts that we personally have experience with – the Raclette Table Grill is great for family dinners. 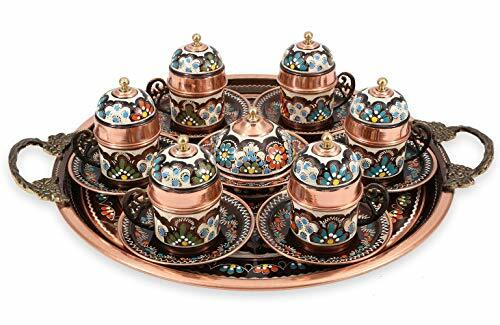 The Turkish coffee set is an amazing gift for those who appreciate a good coffee and a good style/tradition to go with it. 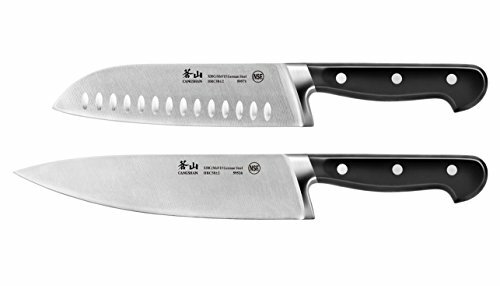 And there you have it – 18 awesome gifts for foodies! In the end, just think about your foodie, their foodie passions, and your budget and you can’t go wrong! If you end up getting a great foodie gift they love, get in touch with us and let us know!